Over/Under: Under 155.5 at 1.87 Bet Now! The two winners of the Friday night semi-finals can rest easy on Saturday but Sunday will be a battle. Home advantage should give Real Madrid a boost for this game but they will face a team that doesn’t know when it is beaten, and a team that has an impressive pedigree when it comes to the modern era of Euroleague basketball. In some ways, it will be sad to see the Euroleague basketball season come to a close this weekend, but if this game lives up to the hope and expectations of the fans, it could be the best way to bow out. Both teams will fancy their chances of winning this game and if you are a basketball fan, you want to make sure that you can watch this game on Sunday evening. Rudy Fernandez is the main man for Real Madrid when it comes to points, picking up an average of 12.9 this season. Felipe Reyes has provided an average of 5.3 rebounds this campaign for Los Blancos and Sergio Llull has offered up an average of 5.9 assists per game this season. For Olympiacos, their star on Friday night, and the main man on so many occasions, was Vassilis Spanoulis. He has notched an average of 14.8 points per game this season and he has also provided an average of 5.6 assists per game this season. Another key player for the Greek side has been Georgios Printezis, who has provided an average of 5.0 rebounds per game this campaign. Real Madrid come into the Championship game with a 23-6 record over the season. This includes an 8-2 record in the regular season, an 11-3 record in the Top 16, a 3-1 record in the playoffs and of course, a 1-0 record in the Final Four. Olympiacos Piraeus are not far behind, standing with a 22-7 record for the season. This includes an 8-2 record in the regular season, a 10-4 record in the Top 16, a 3-1 record in the playoffs and that 1-0 record in the Final Four. 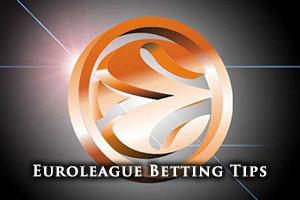 By Sunday night, one team will drop down to a 1-1 record and one team will grab a 2-0 record in the Final Four, and they will be crowned the Euroleague Champions for season 2014/15. With respect to average points scored, Real Madrid hold the lead of 86.6 to 74.8. 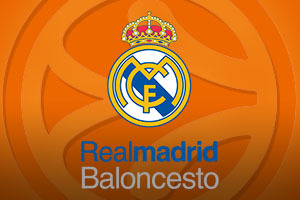 When it comes to the Money Line bet, you will find that Bwin make Real Madrid the favourites for this game. If all you are focused on is who is going to the tournament, you will find that Real Madrid are available at odds of 1.30. By contrast, if you fancy Olympiacos Piraeus to shock the home fans in Madrid, you can take the Greek side at odds of 3.40. For the handicap betting, you can take the host team with a -7.5 handicap, at odds of 1.87. If you prefer to look at the outsiders with respect to the handicap odds, Olympiacos can be found at +7.5 and odds of 1.87. For the Over/Under market, going OVER 155.5 is available at 1.87 and if you think that the final will be a more cagey affair, you should look to go UNDER 155.5 which is available at odds of 1.87. Bet Now! All of these bets are available with Bwin, one of the leading sportsbooks in the world, and a great place to follow the very latest in basketball odds and action.